Yes, it’s true — we just said earlier this week that the fickle weather of spring had given way to steady sunshine and…..then it rained. So it goes in this beautiful, mercurial desert state! While we might not be able to rely on the weather for consistency, we can at least know that whatever rain comes to New Mexico won’t last very long. Plus, because temperamental weather is often on the horizon, local creatives have learned how to work with and around it, especially our wedding photographers. We all know that rain on your wedding day is good luck — what with the symbolism of cleansing, renewal, and fertility and all — but what about the wind? Or the blazing New Mexican sun that occasionally becomes a bright and shining nuisance? Despite how perfectly you may plan your wedding, there are always a few uncontrollable weather variables. So, if you can’t control the weather, you’ll need a team of wedding professionals who aren’t afraid of a little Mother Nature. Which is why we’ve put together a list of our 5 favorite hidden gem photographers. With years of experience in rain and shine, these local wedding photographers have been put to the test and come out on the other side with gorgeous visual art, a fine-tuned understanding of lighting, and a considerable dedication to their craft. So, if you maybe want someone you can count on to capture your wedding day — take a peak below. We’re starting out strong here with the creative known as Beth Waldron Photography. Like an amazingly talented fly on the wall, Beth photographed our Bridal Board + Vendor Mixer just a few weeks ago, and totally captured the essence, fun, and special moments of the event. (Not to mention, the photos were beautiful despite coming from a dimly-lit ballroom.) With an expressive edge that comes through in each shot, her wedding photography should be properly classified as works of art. I feel life has a soul and there is nothing more beautiful than capturing it in a smile or in the twinkle in some one’s eye. We couldn’t have described the creative driving force behind Jared Kellogg‘s photographic art any better than he does himself! With a unique blend of digital and film photography in his portfolio, Jared has come to understand the medium on a personal and artistic level, which shines through in his business. His clean and even approach to each couple makes his work feel comforting and familiar, with a kind of timelessness to last through each and every anniversary. It’s hard not to love Shannon, the creative powerhouse behind Chandelier Studio, from the first moment you meet her. All of her photographic work — weddings and boudoir — comes from a deeply artistic, deeply collaborative place, and it shows. The focus of her lens and creative practices is on making sure the women and couples in front of the camera feel beautiful, and know they’re beautiful. It’s no small wonder then, that each shot comes out looking comfortable, crisp, and perfectly balanced. Rick Saul approaches each engaged couple in New Mexico with a keen awareness of the fact that his photos will long outlive the ceremony, reception, and even the honeymoon. It’s this knowledge that motivates his work, and ensures his talents are used to encapsulate all the most important moments of the day, whether they are precious and heartfelt, or silly and fun. His photographs are, essentially, his way of cementing your story in time forever, so that they may remind you of your unique love for decades to come. To finish just as a strong as we started, we’re wrapping up here with Shutter Force Photography. Although we just did a special feature on the husband-and-wife photographer duo, it’s worth reiterating that their fun and loving approach to photography is totally unparalleled. Meagan and James, as they’re also called by, cultivate real, genuine relationships with their couples. It’s with this connection that they are able to express the inexpressible emotions, details, and depth of each love story within their photography. It seems as though we’ve finally made it over the hump of wishy-washy spring weather here in New Mexico. At last, our days are filled with reliable sunshine, little desert flowers blooming in the sidewalk cracks, and that wide open sky for which we’re famed. As things start to warm up and settle into the season though, that also signals the crunch-time part of wedding planning for our engaged couples getting married in the summer and fall. For our lovely fall weddings — we’re already looking forward to your warm hues and undeniable coziness — you’re probably right around the 6 month mark on your countdown. Which means the big things, like your caterer, need to be locked down like, right now. 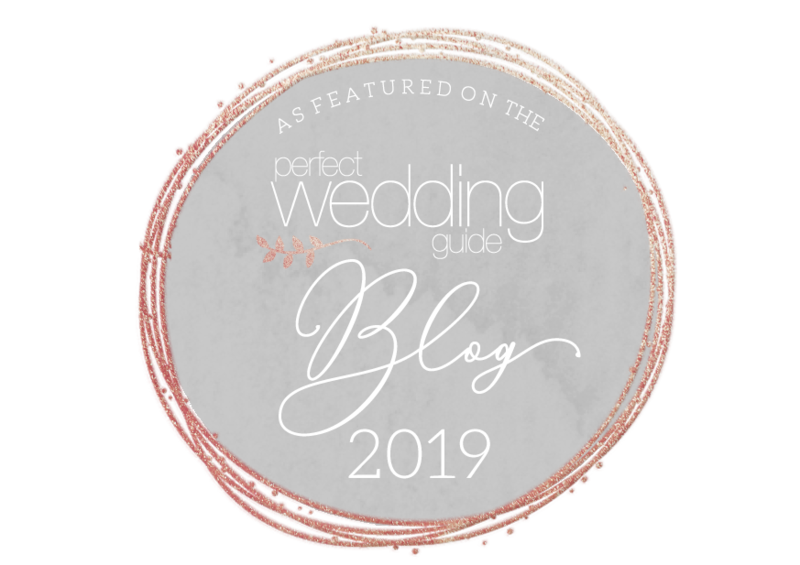 Luckily for the both of us, our Perfect Wedding Guide team has had the opportunity to connect with some local wedding professionals who dedicate their skills and love for weddings to food. We’ve put together a few of our new favorites — whether they’re new to New Mexico, new to us, or just doing something new that inspires us. So, you might want to grab a snack for this particular New Mexico wedding vendor round-up, ’cause its a tasty one. If we want to start with dessert, whose going to stop us?! Especially when up on the table are a dozen of Celina’s Biscochitos. For years, Celina has been perfecting the recipe which we all so love here in New Mexico. With new flavors that push the boundaries of tradition like red or green chile and café lattes, Celina combines all the comfort of a biscochito with innovative surprises. Then, to get a little bit savory up in here, let’s spend some time with another local treasure, UNM Food. Did you know the oh-so loved university was more than just a magical place to get married (or get a degree)? Everything from French-style service, high class Hors d’oeuvres, to home-style, traditional New Mexican food is possible. Engaged couples can choose from wedding menus, or collaborate on a custom menu with their team of chefs and creatives. If you’re looking for a wedding food professional you can connect with, trust, and collaborate with the whole step of the way, then Les Blonde Bakery is the bakery for you. Crafting custom cakes of only the finest ingredients and designs, this one-woman run operation has been stealing the hearts of every engaged couple in New Mexico who works with her. Speciality desserts, delightful flavors, and unique tasting cakes mean that whatever your vision may be, Les Blonde can make it happen. Ah, and then our dear Chello Grill. As mediterranean food lovers, we might be a bit biased toward their savory dishes, which are always, somehow, both bursting with flavor and melting in your mouth at the same time. Breaking away from what we think of as ‘traditional’ wedding food, their kabobs, fresh salads, and authentic Persian stews provide a delicious complement to your celebration of love. We simply had to include Europa here again, even though we just did a whole feature on the Los Lunas wedding venue slash floral farm slash organic catering business. If supporting local, farm-fresh food is important to you and your wedding guests, then look no further than Europa. You can grab some organic floral arrangements while you’re at it, too, and rest assured that neither your buffet or bouquet will have any creepy dyes or toxins — just pure, wholesome goodness. So, if we’re being honest with ourselves, most people in New Mexico know Perfect Wedding Guide for our wedding shows. Which makes sense, considering how many hundreds of engaged couples and local wedding professionals come together to make shows like the Diamond Dash, Bride’s Night Out, and the Wedding Gallery possible. We’re not really complaining, promise, but we actually have a lot of love and appreciation from some of our smaller events, like the Bridal Board + Vendor Mixer! What even is the Bridal Board + Vendor Mixer?! Great question, reader! This particular event was conceptualized to fill the gap between local engaged couples and the wedding professionals who serve them. (Sound familiar?) Essentially, the Bridal Board + Vendor Mixer is oriented like a research or focus group. We invite around 10 engaged or recently married couples from the local community to come share their insights, triumphs, complaints, compliments, woes, worries, and wonders about the wedding planning process in New Mexico. Then, with bellies full of a complementary, gourmet dinner, the wedding professionals from all over New Mexico take note, adjust their practices, ask questions, and, hopefully, grow! It’s one of the few opportunities you have in any business-client relationship to truly hear and communicate with one another. It’s how we’re able to keep the eclectic New Mexico wedding market moving and evolving in the right direction. Ready to learn what the engaged couples who have come before you have to say about the wedding planning process in New Mexico? Let’s jump in with our 3 main takeaways. Another word for inclusivity here could be clarity. When we asked the couples, “What is the most important quality you are looking for when hiring a wedding professional?” the conclusion was the same across the board. Couples look for those who exude kindness and personality, and vendors who actually listen to their vision without imposing their own ideas on the couple. When we asked the couples what the vendors they choose did to earn their business, what we heard reaffirmed these values. They appreciated (and went on to book) the professionals who didn’t exclusively brag about themselves, whose websites were clear and communicative, and whose work accurately represented the couples they want to work with. For example, if a wedding professional exclusively promotes straight couples on their website and social media channels, the chances of reaching LGBTQ couples are pretty much nil. To sum: be clear, be kind, be inclusive, and listen well. 2. Stick to Email, Folks. But, because lots of couples create a specific email address for wedding planning, keeping all communications in one place is best. There’s higher visibility of conversations in email as well, so accountability comes much easier. Also, hate is a strong word, but our couples felt strongly about this: they hate phone calls. Like, really and truly. Most couples are at work during a business’s hours of operations, or they’re at home with their partners and families. 3. Yes, Social Media is Still Important. Your website should still be the home of your business, but social media is where the vast majority of couples look for wedding inspiration. The two top contenders, which you might be able to guess already, are Instagram and Pinterest. Instagram is a great platform to utilize, according to the local couples, because it’s easy to return to feed posts for references — though they love seeing stories, especially of behind-the-scenes previews for styled shoots and weddings. Pinterest is beneficial for businesses as well because it’s so visually-oriented. Then, there’s always the concept of pinfinity, too! Here’s your excuse to log on, friends, and show the world what you’re working with. A very special thank you to all the incredible local businesses who made this awesome, collaborative event possible: Embassy Suites, for generously hosting us and feeding all our guests a marvelous meal; De Novo Pastoral Services for being our informed and entertaining emcee; Beth Waldron Photography for capturing all the fun above; Estella Floral Design for our darling centerpieces; Funky Olive Designs for our pretty little invitations; Cello for Weddings for serenading all our guests with delightful live cello music; and Black Swan Events, for transforming the ballroom into a conducive, inspiring space. Yep, it’s back already! If you missed our first round, you’ll definitely want to pop on over to the Wedding Venue Hotspots, Part One post. If you didn’t miss it, then we’re sure you’re on the edge of your seat for this post, just like we are! The variety of venues, vibes, and values available makes the New Mexico wedding-space scene one of our favorite sources of inspiration. From traditional adobe and colorful cathedrals, to modern farmhouses and rugged rail yards, the options are endless here. Then, as you might imagine, trying to choose only 18 of our top wedding ceremony and reception venues seemed nearly impossible! Luckily, from our little perch here in the local wedding community, we’ve been able to cultivate awesome business friendships with the creative teams who run wedding venues in New Mexico. So it actually turned out to be pretty easy to choose, considering all of our favorites also have staffs who are dedicated to excellence, and stellar reputations to precede them. Enough with the flattery though, let’s jump back into our curated list! Hacienda Dona Andrea is nestled in the hills 25 miles outside of Santa Fe and one of the hottest, and most private, spots to get married in New Mexico. The 13,000 square-foot old-world estate offers glowing mountain views, ceremony and reception spaces. Their nine deluxe bedrooms allow for up to 30 of your closest family and friends to stay with you while making lifelong memories during your special weekend. The hacienda is rented exclusively to one party at a time. Couples can plan their wedding their way with chairs, tables, and tableware rentals onsite and free choice of outside vendors. You get your wedding and the whole hacienda, too. Whether it’s a magnificent formal reception or an intimate outdoor event, Hotel Albuquerque at Old Town offers a flexible and elegant array of wedding and reception spaces that can fulfill your vision. The property has more than 62,000 sq. ft. of event space, including two state-of-the-art grand ballrooms and gracefully landscaped gardens with fountains, rose arbors, lawn courts, and a Victorian-style pavilion. The centerpiece of Hotel Albuquerque is the 19th-century style non-denominational chapel, San Isidro de Capilla, which seats 156 guests under a soaring vaulted beam ceiling. Hotel Albuquerque at Old Town’s memorable settings are the perfect backdrop for your dream wedding. Albuquerque’s newest luxury hotel, Hotel Chaco, offers spectacular panoramic views of the Sandia Mountains, downtown Albuquerque, and historic Old Town. Designed by the world renowned architectural firm, Gensler, the uniquely contemporary spaces are perfect for intimate and grand events. The Terrace Suite is ideal for a grand outdoor event and the serene courtyard and gardens are perfect for a quaint wedding ceremony, with additional ceremony space available at the adjacent Hotel Albuquerque at Old town. This exciting space is unlike any rooftop ceremony and reception venue in Albuquerque. Hotel Encanto de Las Cruces has a Spanish and Mexican Colonial ambiance and offers couples sophisticated wedding venues. Up to 500 guests can be accommodated in the tasteful San Andreas Ballroom, while the smaller San Rafael Ballroom can fit up to 200. Weddings can also be held at one of the several beautiful outdoor spaces, with palm trees, fountains, and colorful flowers. The events lawn, adjacent to the elegant pool, the Jardín Sagrado Event Garden, and the stylish Azul Lounge patio are all perfect for receptions and ceremonies. The unique settings at Hotel Encanto de Las Cruces feature old world charm with modern amenities to make your special day perfect and memorable. Hyatt Regency downtown Albuquerque is a historically urban venue for your wedding ceremony and reception. Our Whyte Room is a blank canvas to design your dream ceremony or reception. Experience our unique ABQ, city-vibe with a touch of contemporary, and a dash of elegance…all that’s left is your signature. When you stop and consider the New Mexico landscape for a moment, it really comes as no surprise that visual industries are on the rise in our home state. Film, design, fine art, architecture — every medium has an inspiration because, well, we have everything! Mountains and mesas, high and low desert, urban cityscapes, lush forests, and small towns are all in abundance, which makes for varied and personal experiences with the state for all who visit or reside. Finding a wedding venue, then, is at once the easiest and most difficult decision you’ll have to make while planning your wedding in New Mexico. Easier than ever before because, as wide a range of landscapes to choose from, is the type of venue within those places. From traditional New Mexican adobe and Spanish-inspired cathedrals, to crisp modern art spaces and whimsical woodland cabins, there’s a venue for pretty much every vibe. So whatever dream wedding fantasy you’ve got tucked away on your Pinterest or even just your subconscious, New Mexico has you covered. With such an incredible variety to choose from though, and every option is gorgeous in its own exceptional way, the decision-making can become a bit overwhelming. So we, from our unique vantage point between engaged couples and local wedding businesses, compiled 18 of New Mexico’s hottest spots for ceremonies and receptions. Starting with the just the first three in the series, these venues have been vetted and are certified beautiful, with incredible teams of dedicated wedding pros behind the curtains. Keep an eye out for the rest of our absolute favorite venues as part of the hotspots feature! Eldorado Hotel & Spa offers unique and elegant venue spaces for the perfect Santa Fe wedding. La Capilla de Oro, the stunning non-denominational chapel, features natural and customizable lighting with an artisan-crafted gold leaf alter as the backdrop. The rooftop presidential suite has gorgeous views of the city as well as the surrounding Sangre de Cristo Mountains. Historic Casa España, the stylish and antique filled club, is available for unforgettable receptions as well as the 7,000sq. ft. Eldorado Grand Ballroom (the largest in Santa Fe). With unparalleled amenities, mountain views, lush landscapes, and 7,000 square feet of event space, El Monte Sagrado Spa and Resort is the perfect destination for an unforgettable Taos wedding. Couples can say “I do” in the Sacred Circle, an intimate outdoor space encircled by mature willows and cottonwoods. Ceremonies and receptions in the elegant Rio Grande Ballroom can accommodate up to 400 guests. There is a wide variety of rooms and settings from which to choose, from the intimacy of the Library to the Grand Bohemian Gallery overlooking aspen trees and waterfalls. From jaw-dropping views to high-end finishes, the Event Center at Sandia Golf Club provides a one-of-a-kind venue to say “I Do.” With expansive glass windows bringing in gorgeous natural-light, views of the pristine golf course and dramatic views of the Sandia Mountains, you won’t have much need for additional décor! The Event Center at Sandia Golf Club is the perfect spot for an intimate, casual wedding, but if high-end is your dream, pulling off a sophisticated soiree is easily done! For a unique, gorgeous place like no other in New Mexico, we promise you won’t be able to get enough of this gorgeous venue! They’re smitten, adorable, and officially Mr. + Mrs.! Since we, Perfect Wedding Guide, exist in a liminal space between engaged couples and local wedding pros, we have quite the vantage point over the love stories that begin, and begin again, here in New Mexico. With so many weddings, each intricate and impossible to replicate, you’d think it’d be the details that really set apart certain weddings for us. But to burst your bubble, it’s actually quite the opposite — the common threads of love which weave in and out of every individual story, that’s what really makes our hearts beat in overtime. After all these years, we’ve come to learn a few things about those common threads which unite every love story together in pure, unadulterated experiences of life. Nikki and Bobby, happy newlyweds married last year at Hotel Albuquerque, remind us so clearly of one of those lessons in particular. When you look back, every tiny decision made was actually an enormous leap in the direction of your fate. Like when Nikki and Bobby both happened to join the same softball team. Minimal in the moment, maybe, but that choice brought them close enough together so that love, mysterious and mercurial as it can be, could do the rest of the work. Which, of course, it did in no short time. Thankfully, Kayla and Dominic of Kayla Kitts Photography also made a series of choices that brought them into collaboration with Nikki and Bobby for their wedding. Knowing the Kitts‘ romantic, fun, and impossibly sweet personalities, we can’t imagine a better photographer in Albuquerque to capture the all the smiles and scintillations of their wedding day. But with such exciting things always happening in our little Perfect Wedding Guide world here in New Mexico — wedding shows, luncheons, the magazine, and much more — it would be very easy to hold this principle in abeyance, though. Which is why we created the 12 Months of Giveaways! 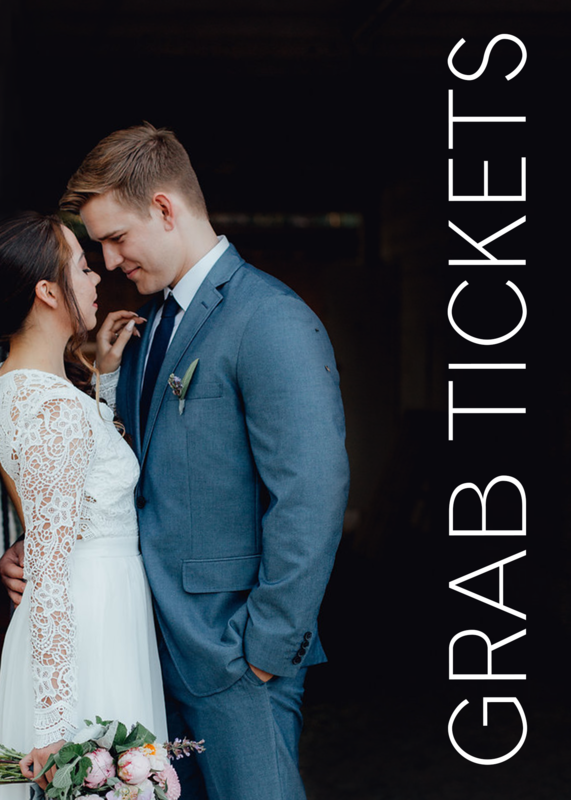 At first glance, the 12 Months of Giveaways is a totally free, totally local giveaway opportunity for engaged couples in New Mexico to win prizes from wedding businesses, valued at over $300, that happens every single month. (Yep, all twelve of ’em.) Digging a little deeper though, the 12 Months of Giveaways is also reminder for us to pause, reflect, and send some gratitude out into the world around us. This way, we have fun little monthly reminders to continue building the life we want to live. This March, the contest resets for the year, and we have a fresh new batch of twelve incredible prizes for engaged couples to choose from! 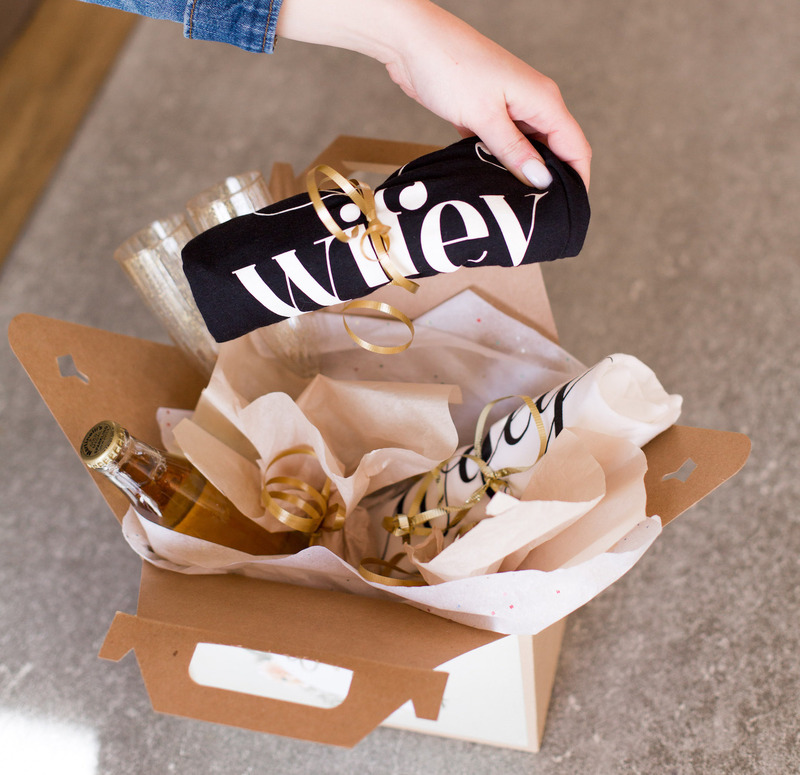 We’re lucky enough to also have twelve different wedding professionals providing their lovingly-crafted products and fine-tuned talents for the prizes, so every winner gets to choose the absolute best gift for their wedding. 1. Complimentary boudoir session and 8×10 print – valued at $300, courtesy of Sheer Desire Boudoir. 2. Day-of coordination and event management services – valued at $800, courtesy of Michelle Victoria Wedding & Event Planning. 3. Complimentary three tier buttercream wedding cake with delivery in town serving 74 guests – valued at $325, courtesy of The Cake Boutique. 4. Two for “Head to Toe Couples Package” includes a 90 minute couple’s treatment with Shea Butter wrap, scalp massage, and EcoFin for hands or feet. All day access to hot tub, sauna and relaxation lounge – valued at $330, courtesy of The Remedy Day Spa. 5. Complimentary mini engagement session and mini boudoir session – valued at $500, courtesy of Lauren Cherie Photography. 6. Complimentary two hour mirror photo booth package – valued at $700, courtesy of Magic Mirror. 7. Complimentary boudoir photo session and 6×6 photo book – valued at $320, courtesy of Creative Portraits by Dolores. 8. “Bride To Be Package” includes an essential manicure, pedicure, signature body polish and facial. Totaling 4 1⁄2 hours of services – valued at $350 from Isleta Spa, courtesy of Isleta Resort & Casino. 9. Complimentary three tier classic wedding cake serving approximately 75 guests – valued at $300, courtesy of Smallcakes A Cupcakery. 10. Complimentary hair, makeup, and false lash services for the bride and one bridesmaid – valued at $300, courtesy of Bombshell Hair and Makeup. 11. Complimentary engagement session – valued at $375, courtesy of Coryn Kiefer Photography. 12. “The Lovers Delight Package” includes a private introductory couple’s horse lesson and photography session with the horses – valued at $300, courtesy of ABQ Horse Breaking + Training LLC.